Lino It – a Sticky like online application. To get started all you have to do is create an account. No fees unless you want to upgrade. You can make you shared site and files private or public. Music teachers have been teaching their students about music theory since the Renaissance Era. Not a happy moment for most students and teachers ever since they started I’m sure. Music theory can be confusing and hard to understand for many young musicians. Reading all those dots! The math of it all! Some people are just better at simplifying and clarifying things for those struggling for comprehension. At “Music Teaching Resources” I found an excellent group of ready made handouts that have that special clarity. They include major and minor scales, key signatures, scale degrees. diatonic chords, major and minor triads, and other related exercises. I have taught the same topics and information many times with good success. However, I am always looking for better ways to do things next time. I found the layout of the resources at Music Teaching Resources to be very straight ahead and easy to figure out for everyone. Nothing new as far as information goes. Just standard music theory. The basic building blocks of music. But.. the staff at Music Teaching Resources have managed to clarify it beautifully on paper. I just really like it. I just used them in a theory help group I had over lunch hour. We are currently studying diatonic triads and related keys. Using these handouts made the difference for many of them. They just got it! I have actually used some of the same ideas myself before but they just haven’t looked this good. 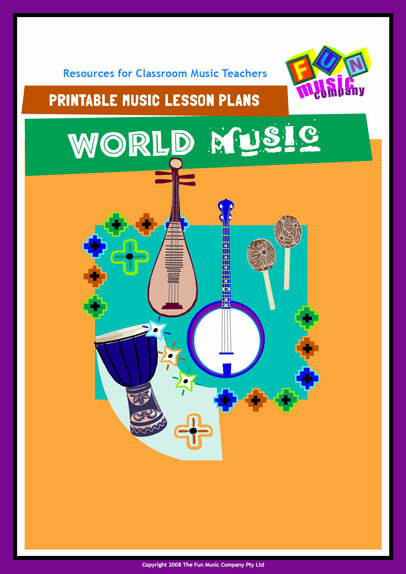 Check out the full range of resources at Music Teaching Resources online. I am sure it will help. Free Technology for Teachers has posted a great collection of Flashcard sites. There is bound to be one for the purpose you need. Some are collaborative and even downloadable. Post and share or just use public topics stacks. Funnel Brain Flashcards that can be shared online and host a third side where you can put other info like the explanation for the answer. Pretty cool and you can add video as well. The ultimate flashcard system for students and teachers. Check it out!